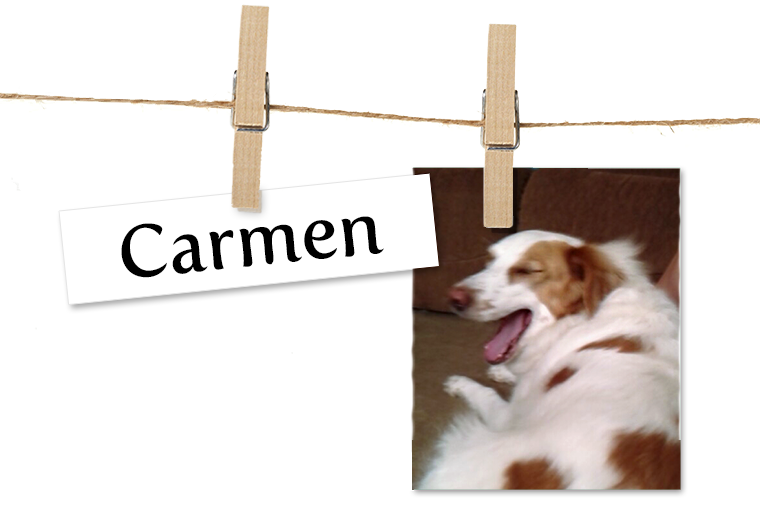 Meet Carmen, The Brittany Mix Who Is The Best Friend Someone Could Ask For!Meet Carmen, The Brittany Mix Who Is The Best Friend Someone Could Ask For! Meet Carmen, The Brittany Mix Who Is The Best Friend Someone Could Ask For! Story This is Carmen. The light of my life. She’s a 5-year-old Brittany mix. She brings a smile to EVERYONE’S face. She has the personality of a young child, and the ability to comfort like an old friend. She came along in a rough time in my life, and she has cheered me up ever since. I think she deserves to be Pet of the Week because she will always be the Pet of my Life.